The time has come for us to celebrate the new year. We hope this inspires you to throw your own party. It can be as beautiful and simple as this. 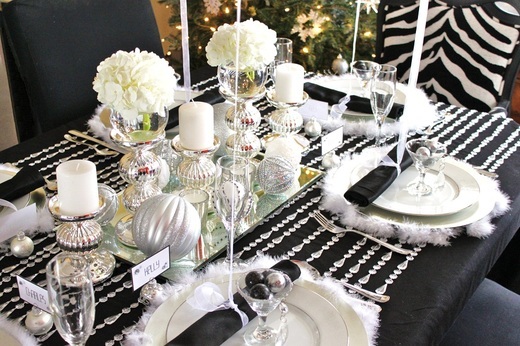 Dress your table at home with black, white and silver decor. Bring in some simple white flowers, feathers, jewels and candles to make it even more festive. 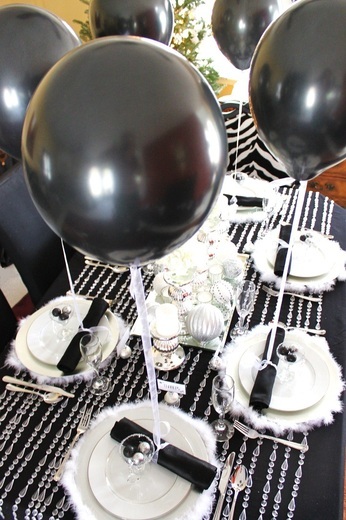 Use white silk ribbon to tie a black balloon to each napkin. A lift off to the new year in style. This also becomes an eye catching decoration that guests will be sure to love. 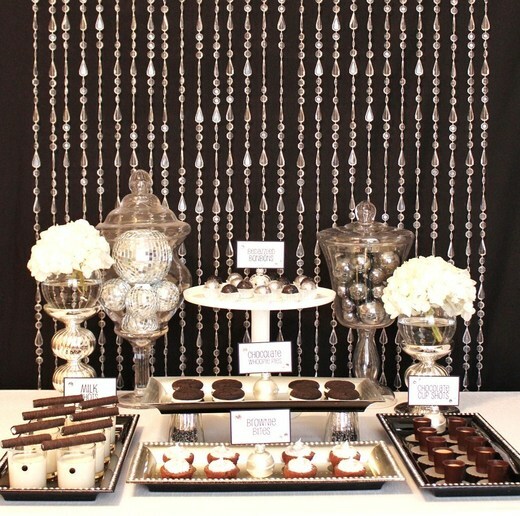 Cover a counter or table with a white linen and fill with silver or white serving plates. You can use white christmas lights hanging in the background or in my case and old plastic beaded curtain will do the trick for some sparkle. 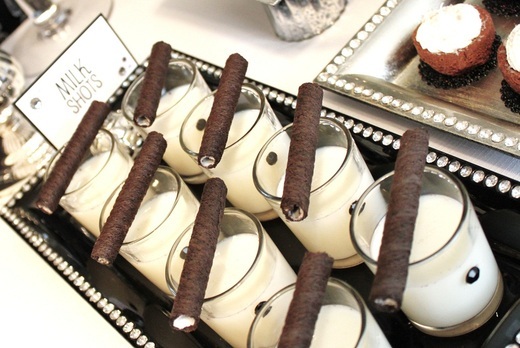 To fill trays make or buy chocolate and vanilla treats. An easy treat is brownie bites, sold at most stores and frost them with a vanilla and shake a dash of white iridescent sugar sprinkles for a festive look. As simple as milk and cookies! Poor milk in a glasses and top with a favorite dark-colored cookie, in this case my husband favorite Oreo cookie sticks worked perfect.